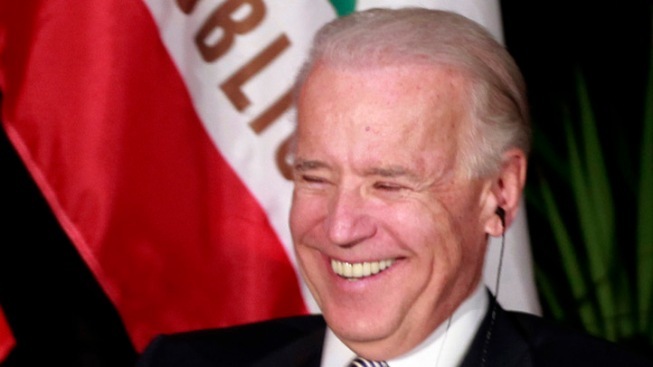 U.S. Vice President Joe Biden is all smiles after winning Hollywood greater access to China. China's Vice President Xi Jinping finally relented after a day of talks with U.S. Vice President Joe Biden, agreeing to allow Hollywood to send more films than ever to the most populace nation on Earth. For 20 years, China's government has only allowed 20 non-Chinese films to be released annually, with distributors reaping a measly 13 percent. But under a new agreement, China will permit an additional 14 films--they must be in 3D or IMAX--and distributors will take home 25 percent. The average for foreign distribution in other nation's around the globe is 30 percent. The changes come a year after the World Trade Organization told China they needed to loosen their restrictions on foreign film. These new rules will be up for review in five years. This is great news for Hollywood studios. There were $2.1 billion in movie tickets sold last year in China, with that number expected to jump to $5 billion by 2015, according to The New York Times. Hollywood's access to the giant pool of cash has now jumped 70 percent, and their take has jumped of each dollar has jumped 92 percent. The downside--there is always a downside--is that this new deal will further encourage Hollywood to make films in 3D or IMAX just because they'll make more money, not because they necessarily benefit the film. IMAX and 3D are great advancements that when down properly make for a far richer and more immersive film experience, but they can also seriously detract from a film. We're very much looking forward to Ben Affelck's Iran Hostage Crisis thriller, "Argo," but the idea that there would be any incentive to convert it to 3D makes is a downer. The Independent Film & Television Alliance seems to think that indies will benefit greatly from this new deal, as well. It's unclear how exactly this will benefits indies, but if Prewitt's happy, we're happy.